PHOENIX(April 20, 2009) — When it comes to hosting mega sports events, the hits just keep on coming for Greater Phoenix. America’s sunniest metropolis played host to the Super Bowl in 2008 and the NBA All-Star Game in 2009, and penciled WrestleMania into its lineup of heavy hitters for 2010. Now on deck for Phoenix: the 2011 Major League Baseball All-Star Game. Baseball Commissioner Bud Selig announced April 11 that Chase Field will be the site of the league’s midsummer classic on July 12, 2011. The Phoenix Convention Center, which recently emerged from $600 million expansion, will play host the interactive fan experience Fanfest in the days leading up to the big game. The game and its accompanying festivities — which besides FanFest include the Home Run Derby, the Futures Game and the Legends & Celebrity Softball Game — are projected to fill more than 2,300 downtown hotel rooms and pump $60 million into the local economy in the middle of Greater Phoenix’s slow season for tourists. 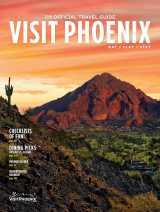 “It will be a nice Christmas in July,” said Greater Phoenix Convention & Visitors Bureau President and CEO Steve Moore. Moore said the Benevolent and Protective Order of Elks, a national fraternal organization that had booked its annual convention at the Phoenix Convention Center in mid-July 2011, agreed to move its event to a later date so downtown could accommodate the MLB All-Star Game. The hotel referenced by Moore is the 31-story Sheraton Phoenix Downtown, which welcomed its first guests in October 2008. The Sheraton housed players and executives during the NBA All-Star game in February, while the convention center was the site of the Jam Session fan experience that attracted more than 100,000 people. One big difference between the NBA All-Star Game and the MLB All-Star Game is ticket availability for fans. For its marquee event, the NBA took 16,000 of 18,000 seats at US Airways Center; but Major League Baseball is expected to require only 10,000-15,000 of Chase Field’s 49,000 seats for its all-star extravaganza. Moore said the Diamondbacks, Greater Phoenix CVB and the City of Phoenix lobbied for four years to bring the All-Star Game to the nation’s fifth-largest city. Commissioner Selig alluded to the Phoenix delegation’s persistence during the press conference to announce the 2011 site. “They deserved to get this game,” Selig said, gesturing to the Phoenix officials joining him on a dugout-top dais at Chase Field. Then, with a playful sideways glance, he added: “Don&apos;t take this the wrong way, but you guys were pests after a while."